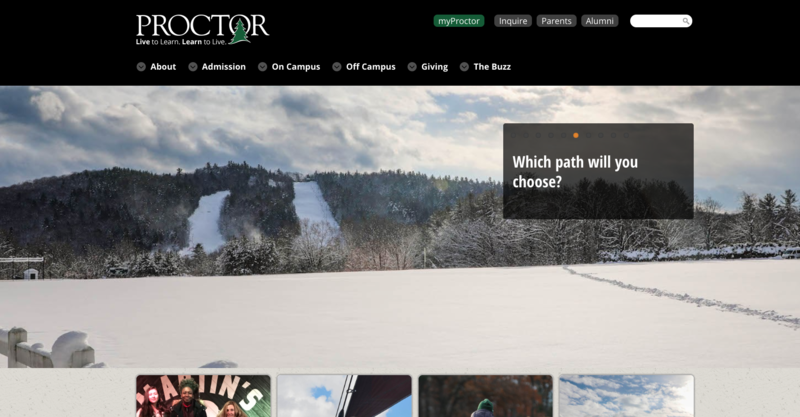 “Which path will you choose?” Each visitor to our website or admissions office encounters this question through our marketing materials. The intent of the question is simple: Demonstrate to each prospective family there is no single track through Proctor, but rather an infinite array of different paths through which a young person will encounter growth opportunities and develop attributes we believe to be critical to success in life after Proctor. But does this focus on breadth of curriculum and individualized approach to academics have unintended consequences for those seeking to better understand the value of a Proctor education? As we encourage families to fully embrace the customization of their child’s journey through Proctor, we risk insinuating individual experiences lack consistency. If each path is unique, how do I know my child is going to be prepared for college, a gap year, or whatever is next for them? 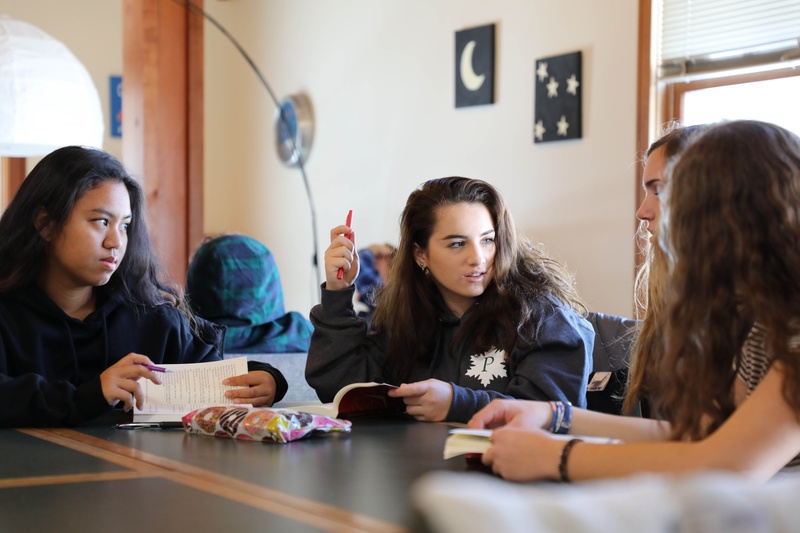 We believe firmly that while each student’s path through Proctor will be wholly unique, the personalization of an educational experience is not mutually exclusive from an intentionally coordinated curriculum. Not only do Proctor’s mission statement and Profile of a Proctor Graduate serve as a north star for our faculty as they develop courses, teach skills, and synthesize content, but Academic Department Heads and Academic Dean Derek Nussbaum Wagler have asked faculty to begin the invaluable process of horizontal and vertical curriculum mapping across departments - no small task for seven academic departments and more than 130 individual course offerings. During last week’s professional day, faculty met in Academic Departments to continue their deep dive into curriculum mapping. Asking themselves what is the progression of skills and content throughout each course? How do these skills and content build off the prerequisite courses? How do they prepare a student for the subsequent courses within the department? How do they interact with other courses across academic disciplines? Where are their opportunities for collaboration and overlap? How does our off-campus program curriculum integrate with our on-campus courses? It is through this intentional mapping of skills and content that we utilize individual class experiences to make progress toward our educational goals. Understanding the progression of how we teach collaboration, creativity, problem solving, and resiliency requires us to see beyond our immediate departmental silos to the greater educational experience of each student. Derek explores how Proctor's academic model asks students (and faculty) to think beyond individual disciplines to synthesize the whole of our educational experience within the context of our life experiences. As we dive into this second week of the Winter Term and find ourselves being pulled into the comfortable routine of our individual classes and academic departments, we must remember our work on a micro-level with each student lays the next layer of the macro-Proctor foundation we are working collaboratively to build for each student. 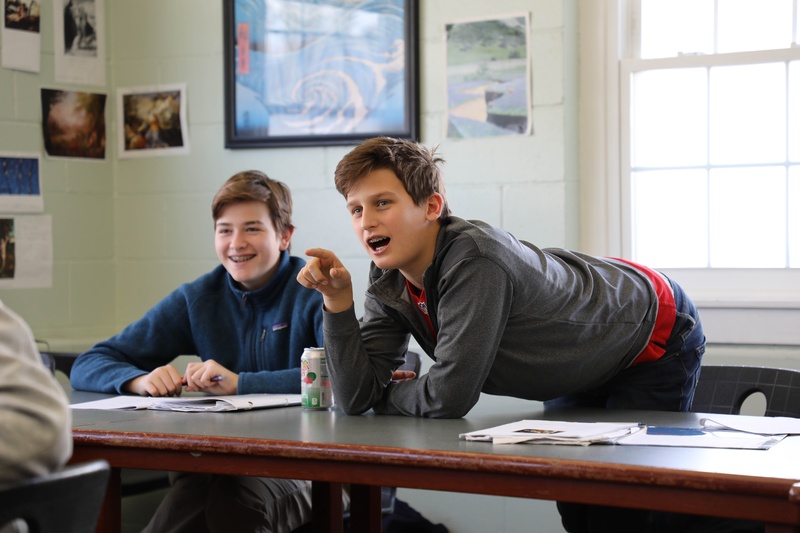 When we seek the input, support, and insights of those around us to accomplish our individual goals, we simultaneously model the type of teamwork we expect from our students and reinforce to ourselves the importance of viewing all we do at Proctor through an interdisciplinary lens. Two valuable reminders on a cold December day.